The Qatar Racing and Equestrian Club ... Heatrae Sadia project. Heatrae Sadia’s range of water heating products is being specified for key projects across the Gulf, and the UK company is on a mission to grow demand for its high-quality European products. Heatrae Sadia of the UK is strengthening its foothold in the Gulf and has launched a new range of commercial solar thermal system package solutions. This brings together its package of solar thermal collectors and stainless steel cylinders, all manufactured in its state-of-the-art group manufacturing plants in Europe. “The new thermal systems are Solar Keymark approved and have duplex stainless steel cylinders for long life. In addition, Heatrae Sadia has system design capabilities to support its customers,” says Jon Cockburn, Heatrae Sadia’s global head of marketing. Meanwhile, experienced Middle East region-based representatives are available to respond immediately to customer enquiries. Heatrae Sadia is part of Baxi Heating UK, which was founded 150 years ago. All its products are manufactured in the UK and Spain and these include electric water heaters, stainless steel hot water cylinders, solar thermal systems, and commercial boiling drinking water appliances. Semi-automated product lines ensure optimum flexibility and ability to increase product output in line with customer demand. It holds accreditations, such as ISO BS OHSAS 18001, ISO 9001, ISO 14001, ISO 50001 for quality and has an annual turnover of £200 million ($304 million). 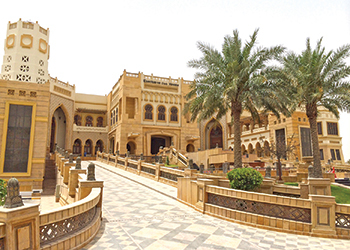 In an effort to boost its business in the region, Heatrae Sadia opened an office in Doha, Qatar, in September 2013 and it has become a regular participant in leading regional exhibitions. Last year it attended The Big 5 in Dubai, UAE, Saudi Build in Riyadh, Saudi Arabia, and Project Qatar in Doha, Qatar. This year Heatrae Sadia was also present at the Big 5 shows in Saudi Arabia and Kuwait. “The main purpose was to establish a presence for the brand and demonstrate the range of our products to consultants, architects and specifiers while building relationships with key influencers. A number of projects have subsequently been identified and actively progressed,” says Cockburn. Though the UK remains Heatrae Sadia’s main market, export is an increasingly important part of its business and now accounts for around 20 per cent of sales. “We are exporting to numerous countries around the globe, from New Zealand to Argentina to the Gulf region, however the biggest market outside of the UK for our products is currently Russia,” says Cockburn. 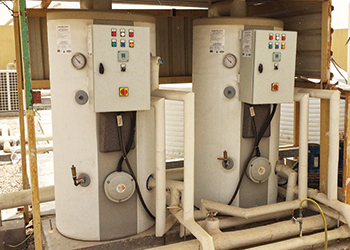 In the Gulf, Heatrae Sadia has supplied six Megaflo commercial cylinders to the Qatar Racing and Equestrian Club’s VIP building and 200 boiling water products at the Qatar Airways building, both in Doha, Qatar; various capacity hot water cylinders for the Haramain Railway stations in Madinah, Jeddah and Rabigh in Saudi Arabia; and 300 Megaflo cylinders and Multipoint electric water heaters for the Landmark Hotel in Abu Dhabi, UAE. Meanwhile in the UK, it provided more than 800 electric water heaters to Emirates Stadium, the home of Arsenal football club, in London. Looking ahead, Cockburn says the company plans to widen its system offering to include other items it manufactures such as gas boilers. Cockburn says that Heatrae Sadia maintains a strict focus on quality to ensure a long trouble-free life for its products. “Quality is something we would never be prepared to sacrifice in the face of increasing price competitiveness. We plan to increase the support provided to the region from our Doha office. We will also roll out accredited CPD (continued professional development) seminars to a wider audience including consultants, specifiers and mechanical and electrical engineers throughout the region,” he concludes.